I have been chided in the past for posting images of international street art and overlooking the remarkable public artwork extant in my own backyard. 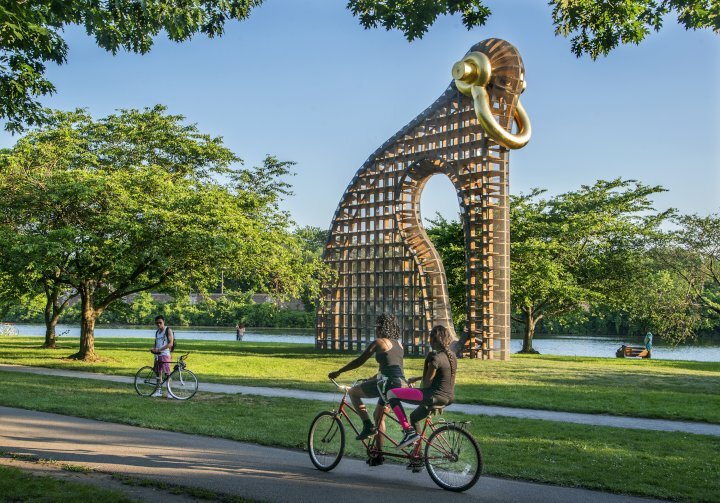 So, here’s a look at a phenomenal temporary sculpture that towers 40 feet above the Schuylkill River in Philadelphia’s massive Fairmount Park. 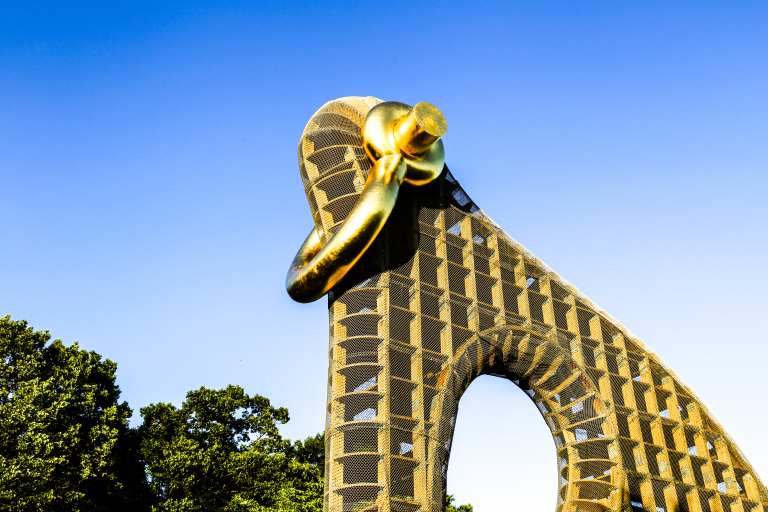 Big Bling, which will stand through November 2017, is the work of celebrated American sculptor Martin Puryear. 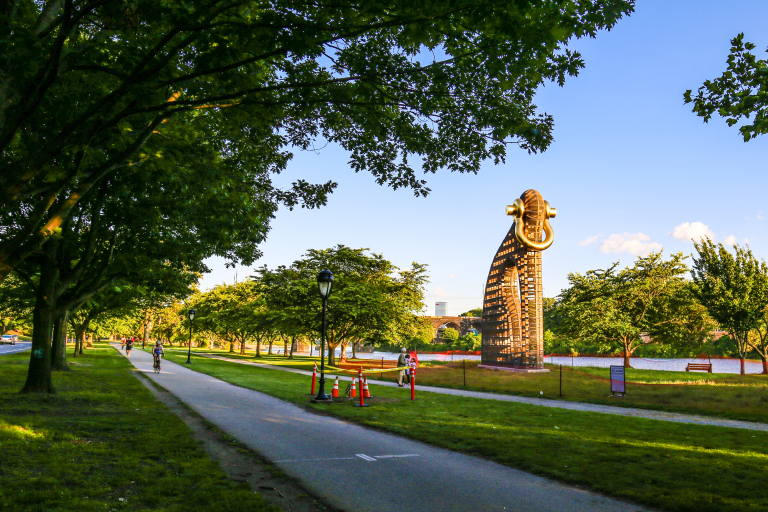 The 40 foot tall by 40 foot long work is constructed of laminated timbers, plywood, chain-link fencing, fiberglass, and gold leaf. Everyone has their own take on he abstract sculpture, but i keep thinking: elephant. If you’re one of the 41 million plus visitors to Philly this year, take a break from the amazing historic sites in Center City, grab a picnic lunch from the Reading Terminal Market, and head to Fairmount Park for some street culture. 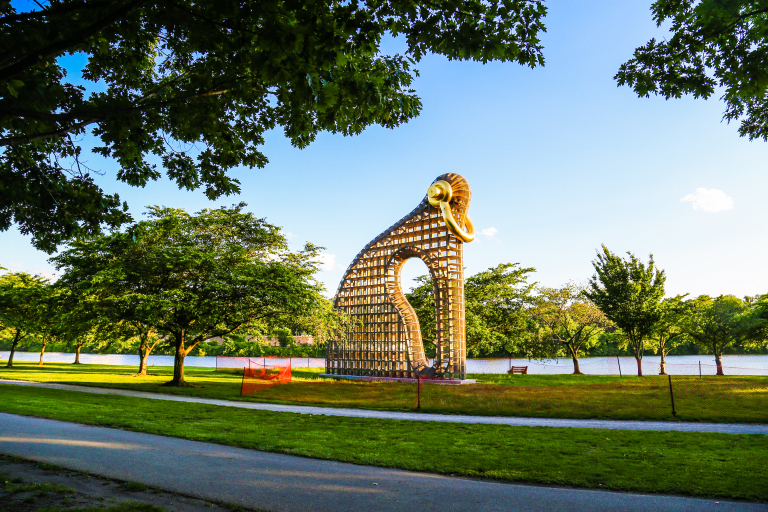 This entry was posted in Art, Restaurants, Tourism, USA and tagged Fairmount Park, Philadelphia, Schuylkill River, Sculpture, Street Art. Bookmark the permalink.